Hard Candy Introduces 45 New Nail Polish Shades! 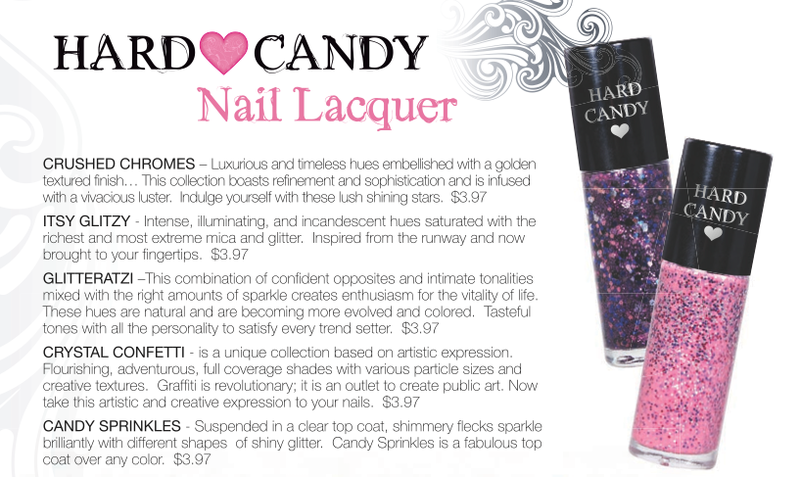 Hard Candy is on top of it! 45 new shades coming to Walmart and they're priced at only $3.97 each. There will be 5 collections with 9 shades in each collection. Here's a look at the press information I just received. 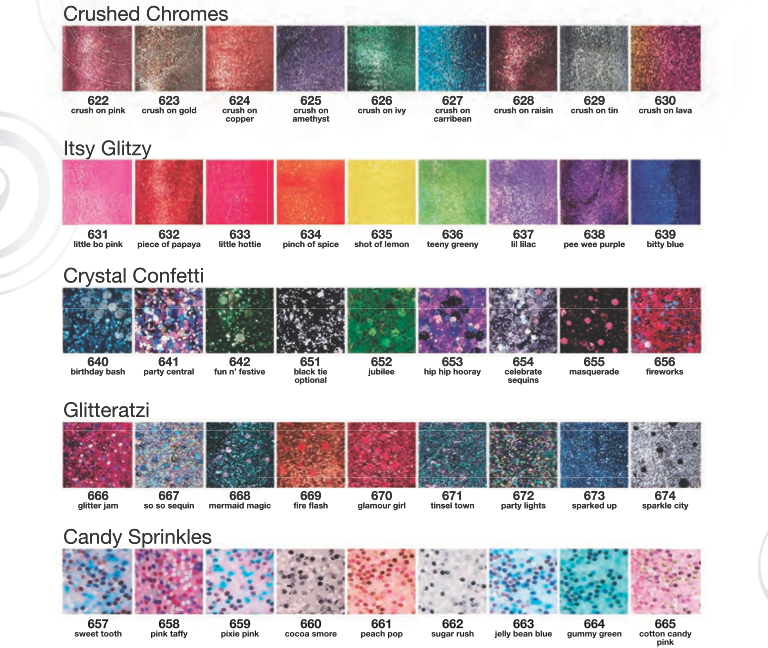 I've seen some swatches on line, so they are arriving in stores now. Of course my Walmart doesn't have them yet, but I'll keep checking. What do you think about this huge assortment of shades from Hard Candy? wow, that's so awesome! they've kind of lagged in the nail polish realm recently. i love Beetle and Mr. Wrong. I can't wait for these to show up at my Walmart! i love that they're not cremes!! This looks so amazing, I can't wait! No, they have already been spotted quite a bit in the U.S., and I believe they will also be in Canada.